You've found what appears to be the personal page of alden. 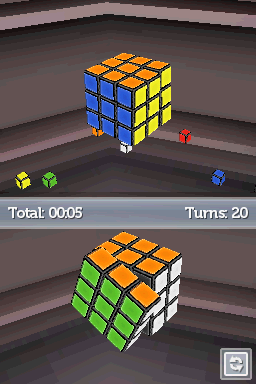 DS Rubik's World (USA) in 01:20.23 by Kumquat & alden. Combining the Nintendo DS's touch screen capabilities with a classic puzzle game and adding in a touch of the tool-assisted yields... a tool-assisted run of a classic puzzle game, joining the ranks of several other quirky movies similar in character. While tool-assistance may on the surface seem trivial in this case, a decidedly non-trivial amount of luck manipulation was used to create a cube solvable in the fewest possible moves. Further, the game only counts moves in quarter turns, making the number of moves used even more impressive. Note: If you are watching the .dsm, your nickname and comment must be set to something specific in order to watch the movie. It will desync otherwise. See the author's comments for combinations that work. NES Dizzy the Adventurer (USA) in 07:49.67 by alden. The Dizzy series of computer games was one of the most successful computer game brands of the late eighties. They were all based around a central figure, an intelligent egg-like creature called Dizzy. 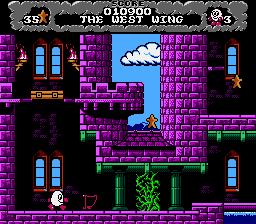 Dizzy the Adventurer is an enhanced NES port of the sixth game in the series, Dizzy: Prince of the Yolkfolk, completed fast by the use of creative routes and of course, maximum speed. There is also a run of the second game in the series, Treasure Island Dizzy. About alden: "I'm just this guy, you know?" This page appears to be the personal page of alden.